E-commerce owners do business across the United States and around the globe. It’s hard to keep track of tax requirements across multiple jurisdictions for products sold online. Your business already spends a portion of your profits calculating and paying taxes, and an audit can cost even more. Avalara makes tax calculations easy and helps you avoid the penalties and fees that can come with mistakes. 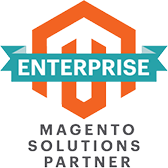 Magento automates many of the other aspects of your business. Integrating Avalara with your Magento site reduces the sales tax calculations that before had to be done manually and gives you more time for generating profit. Integration streamlines the processes associated with tax compliance by making Avalara’s calculation tools available through your e-commerce site. You no longer need to spend time checking local rates and looking up tax jurisdictions, because Avalara uses geolocation to consistently supply accurate data. Avalara handles compliance issues, consistently updating rate tables for more than 12,000 jurisdictions. Pay taxes on time in every location they’re due with automated processes that don’t take up your time. When new customers begin their checkout through Magento, setup in Avalara is easy with automated address validation and real-time tax calculations. Avalara automatically adjusts for regional changes and tax holidays. Avalara’s resources are like having an accountant available through your Magento site. If you need support, Magento and Avalara both offer a rich repository of resources and readily available customer service. Integration is affordable. Magento is a completely free open-source platform, and Avalara charges only for the transactions that require calculations. Both have features and plans that work for businesses of any size. Avalara was created to automate tax transactions and help businesses run more efficiently. Magento allows you to reach the widest possible audience with your products and services. It just makes sense for your accounting software and your online store to work together. With over 60 Magento-certified experts, Forix has the team you can count on to successfully implement your integration. Contact us today to find out more.